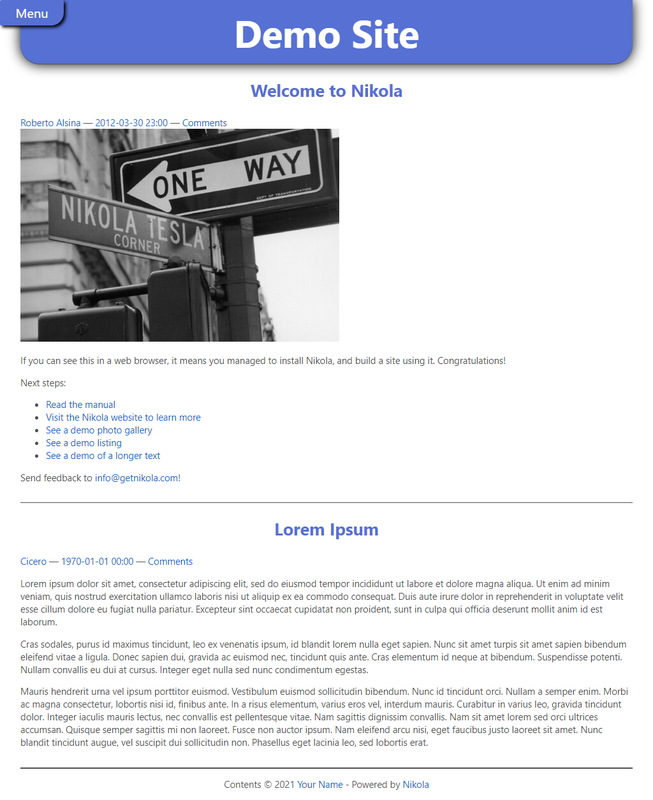 A minimalistic, responsive-ish theme for Nikola, based on the base-jinja theme, with a slide-out menu. You can customize the theme by creating a custom.css file (files/assets/css/custom.css). Copy-paste the /* Color preferences */ section from the provided slidemenu.css file and choose your own color scheme. Make sure to change THEME_COLOR in conf.py to fit. The theme defaults to the system font stack (taken from Bootstrap 4), but you can use your own fonts by editing CSS. This theme was originally created in January 2016 for a private project and is now being made available to the public, with some modifications. Copyright © 2016, Chris Warrick. All rights reserved.